When using a tripod with a Quick-Column, it’s important that the platform be securely mounted to prevent accidental twisting, and to keep the tripod head and platform separate when removing the head from the tripod. 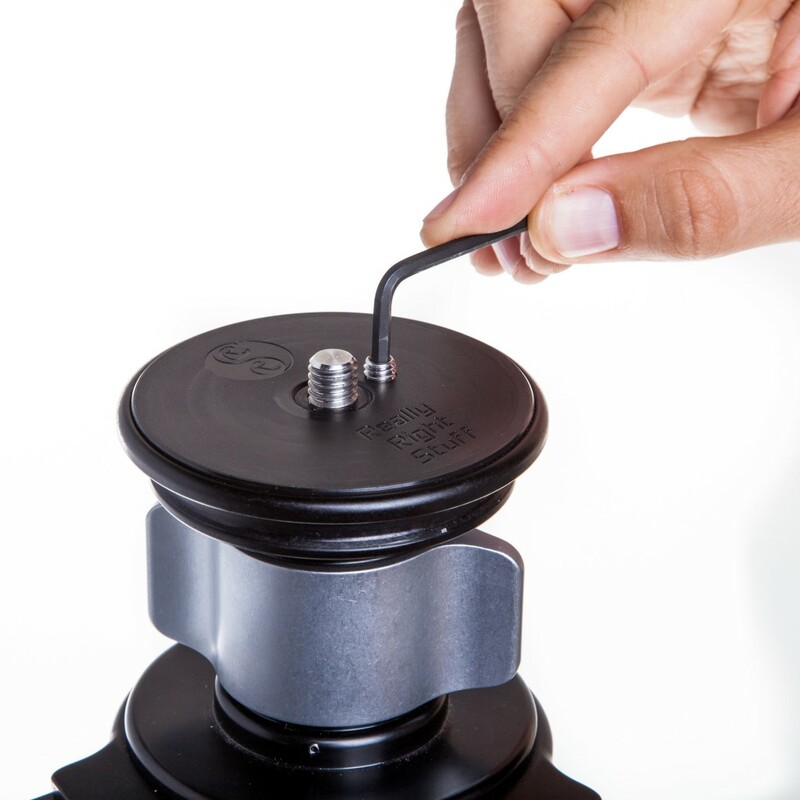 All Really Right Stuff tripod platforms come with at least one 1/4″-20 threaded set screw and a 1/8″ hex-key tool for just such a purpose. 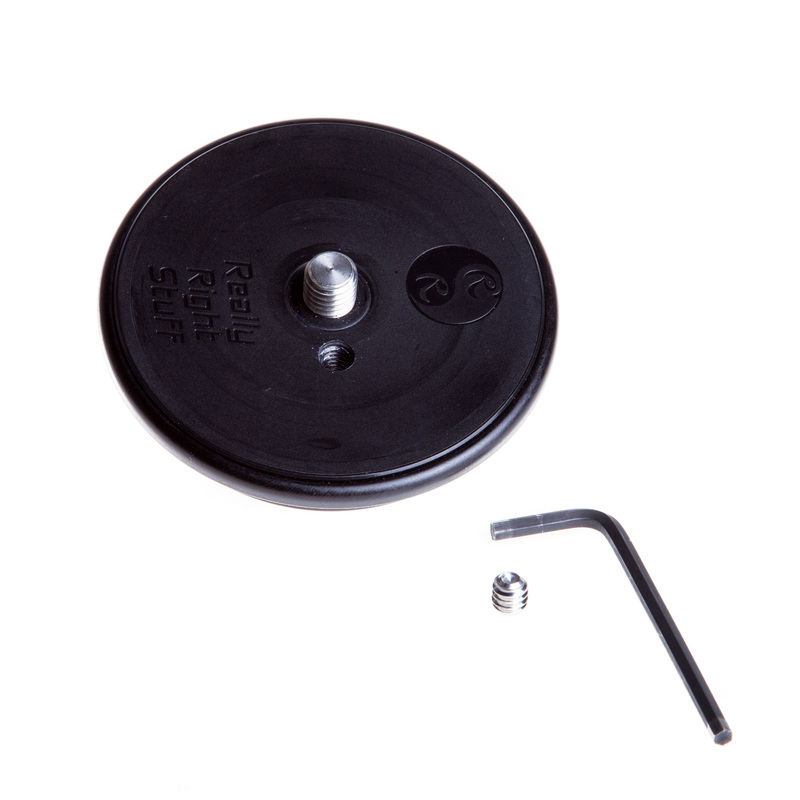 TQC-14 tripods come with two such screws for added platform security, ensuring your BH-30 or BH-40 will not take the platform along when removed. Every Really Right Stuff tripod includes a 1/4″-20 set screw and a 1/8″ hex-key tool for securing the platform to an optional or included quick-column. 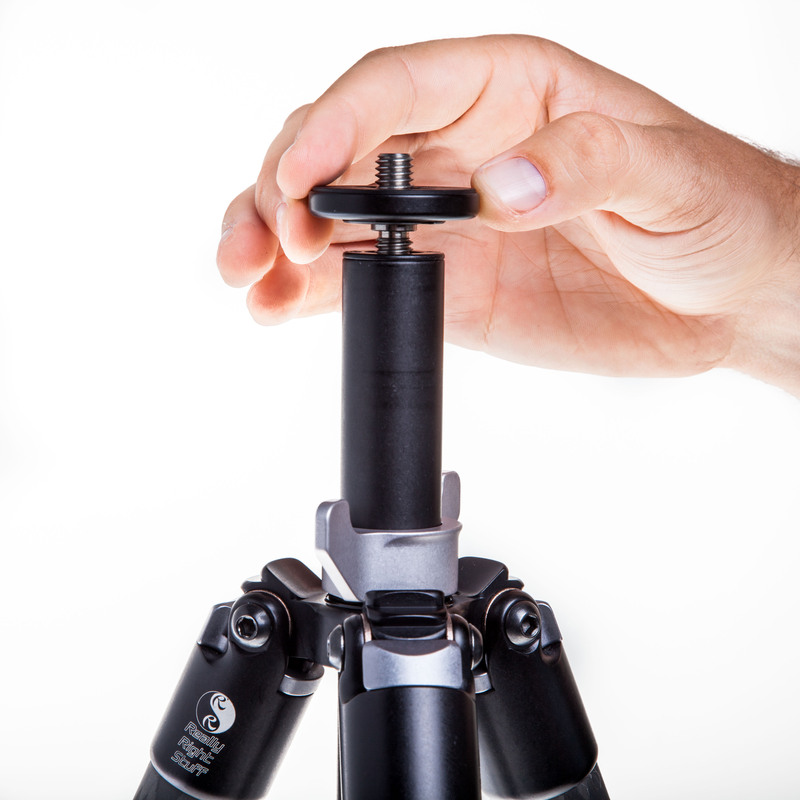 Each Versa 2 or 3 tripod comes with the platform installed in the apex, and the set screw and 1/8″ hex key enclosed with the other tools and user manual. 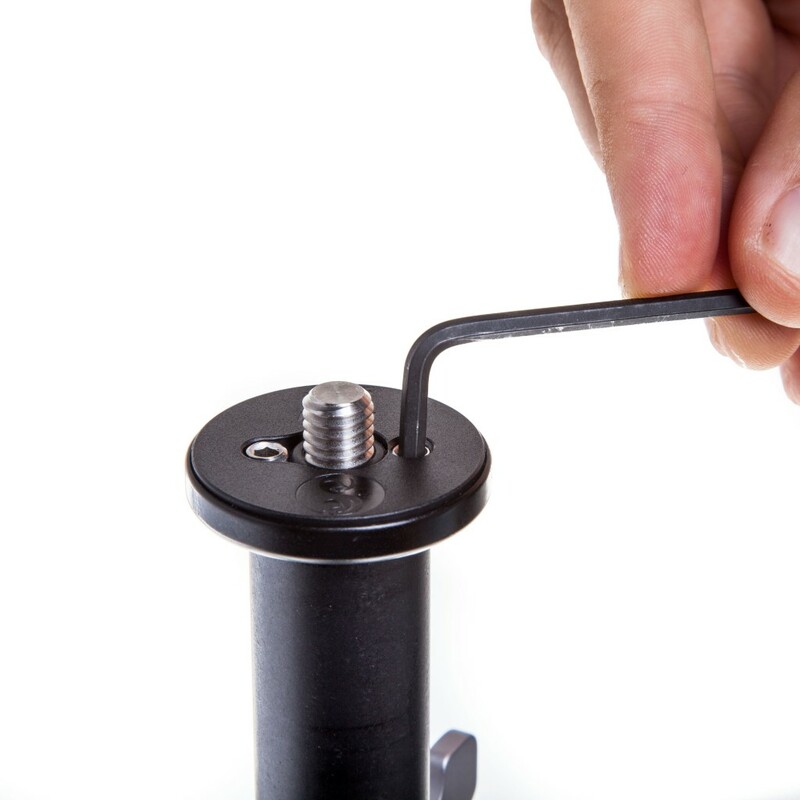 The 1/8″ hex key is also used for the Versa Suregrip™ Apex set screws when changing Versa accessories, like installing an optional leveling base or quick-column. 1. Mount the platform to the top of the quick-column. 2. Use hex-key tool to tighten screw down through socket. 3. Tighten screw completely, ensuring recessed below platform. 1. The locking wingnut of the center column should be locked tightly to prevent twisting of the column within it. After removing the tripod hook from the underside, mount the platform to the top of the quick-column. No head should be mounted to the top of the platform, as you will need access to the set screw socket next to the main 3/8″-16 threaded stud. Make sure the platform is securely tightened down onto the column. 2. Use the included 1/8″ hex-key tool to thread the 1/4″-20 set screw (also known as a “grub” screw) into the socket. The hex key should clear the stud for easy operation. 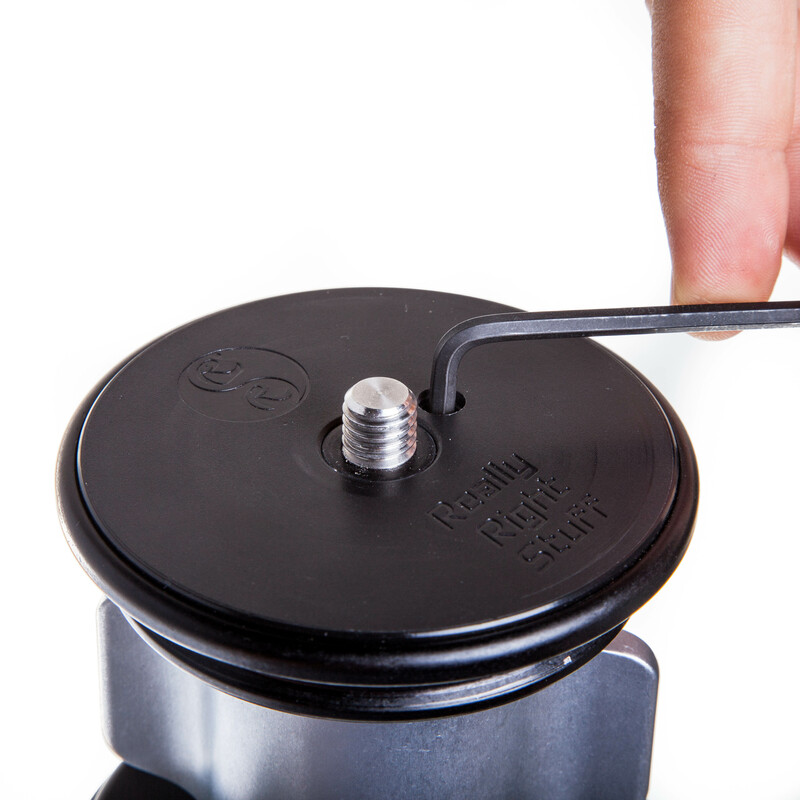 You will feel the metal screw “bite” into the metal surface of the column – this lets you know you’re tightening it securely. 3. Once fully tightened, the set screw should be recessed below the surface of the platform, and the platform should be unable to spin counter-clockwise. You can now pan or mount/dismount your tripod head without accidentally removing the platform. 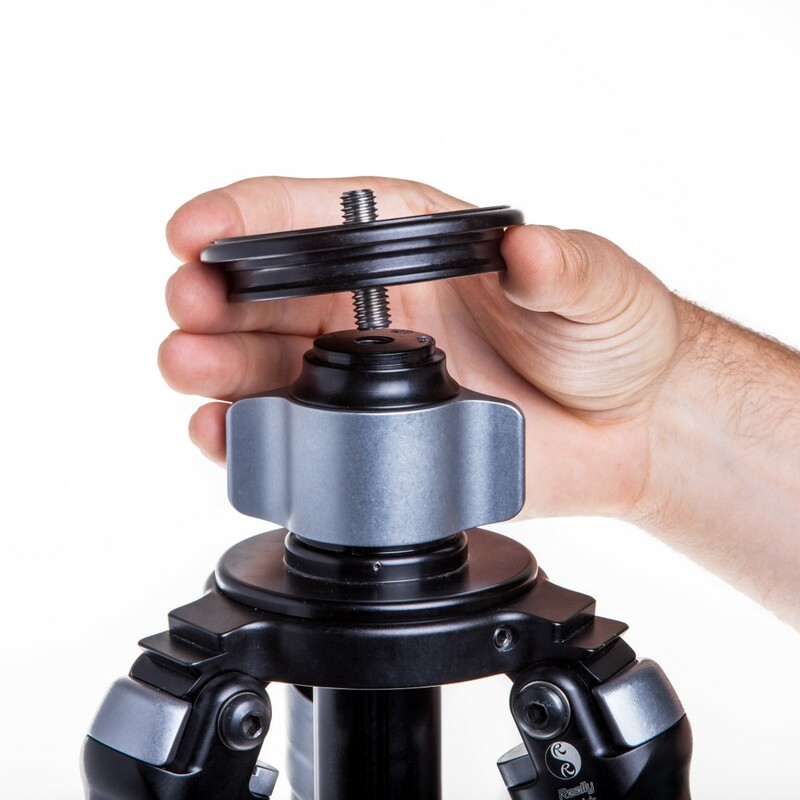 Each TQC-14 Series 1 Quick-Column tripod will come assembled with two set screws already securing its platform to the quick-column. Loosen the set screws if you wish to remove the platform from the column, as when removing the column from the tripod completely. The set screws can remain in place in the platform sockets. Follow the steps below to re-install or re-secure the platform. 1. Mount platform to quick-column via threaded stud. 2. Tighten each set screw completely against the top of the column. 2. Use the included 1/8″ hex-key tool to thread the two 1/4″-20 set screws into the socket. The hex key should clear the stud for easy operation. You will feel the metal screws “bite” into the metal surface of the column – this lets you know you’re tightening it securely. Once fully tightened, the set screws should be recessed below the surface of the platform, and the platform should be unable to spin counter-clockwise. You can now pan or mount/dismount your tripod head without accidentally removing the platform. Is the double set screw platform for the TQC-14 available for purchase? I have the single set screw version and would like to upgrade. Thanks. You can definitely purchase the new platform with two set screws – I believe the price is $30. If you like, you can send in your existing platform and request an exchange for that new version, which will get you a 50% discount for a total cost of only $15. You would have to send your platform in first to get that credit for trade-in. Please email me at jim@reallyrightstuff.com or give us a call if you have further questions about this process. Does the double set screw of TQC-14 made a difference compare to the single set screw? The second screw will provide more security against twisting than just one, but if used properly the single screw should hold just fine. Looking forward to get the precision screws set for my Versa 2 🙂 Thanks for the instructions!